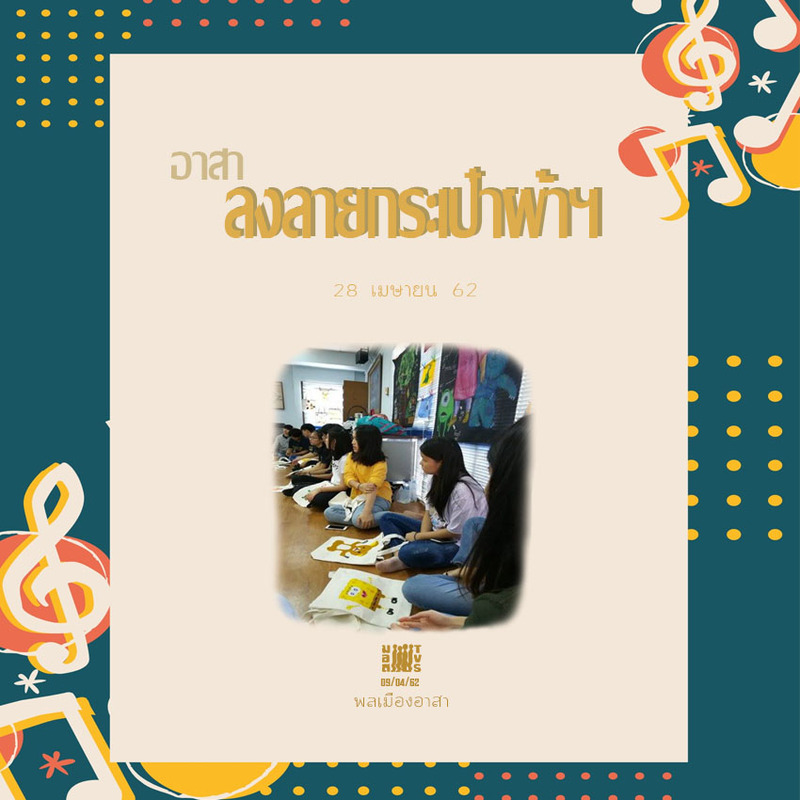 สมัครทาง E-mail : volunteerservice@gmail.com โดยระบุกิจกรรม “ลงลายกระเป๋าผ้าฯ 27 เมษา’62 ” ชื่อ/สกุล ……. อาชีพ…… E-mail …… เบอร์โทร……. 05.00 PM Exchange experience of volunteer work and present your bag. After activity, you will get painted-bag for yourself or you will give to others.